As our body requires water every day, most of us pursue clean water as a way to maintain our health. 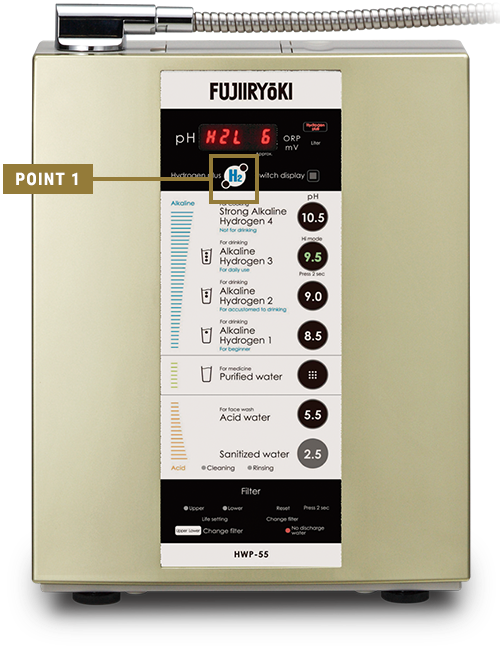 Unlike mineral water, the electrolyzed hydrogen water generated by the HWP-55 includes plenty of hydrogen, as generated by electrolysis. 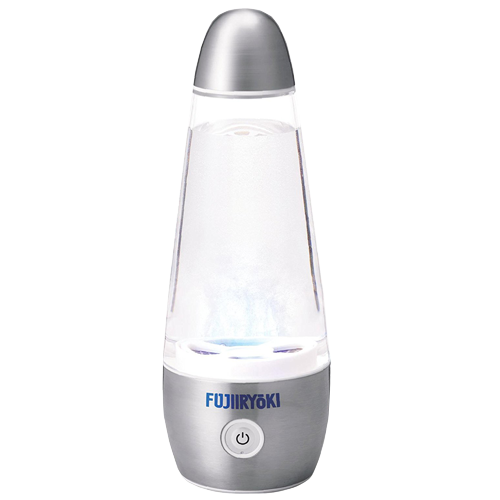 For all aspects of daily life, including daily water intake, and for making drinks such as tea, etc., as well as for cooking, Fujiiryoki has brought this unique electrolyzed hydrogen water to market as part of its drive to support beauty and health. 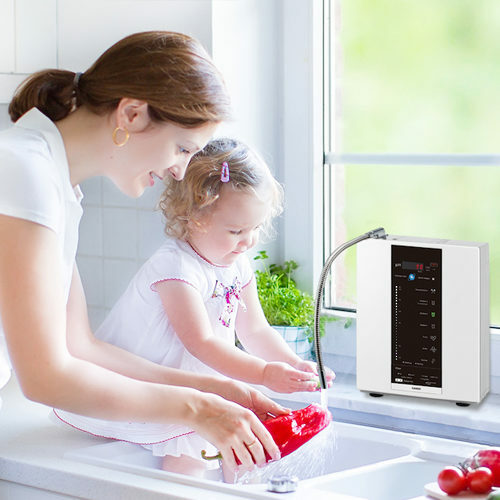 How about incorporating electrolyzed hydrogen water into your family’s daily efforts for health maintenance? 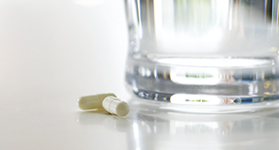 Electrolytic hydrogen water alleviates dull feelings in the stomach and stomach discomfort. It also helps gastrointestinal movement and improves bowel movement. The secret of electrolytic hydrogen water is the difference in the oxidation reduction potential. The index that indicates the electrical energy amount of water is known as “oxidation reduction potential” (ORP). The higher the positive value, the stronger the oxidation power, and then the higher the negative value, the stronger the reduction power that deoxidizes oxidized materials. Electrolytic hydrogen water has a negative value, thus we could say that it has a strong reduction power. What are the differences between an electrolytic hydrogen water generator and a water purifier? 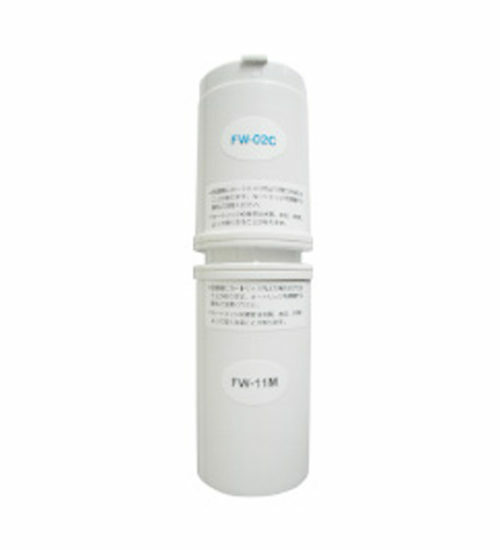 A water purifier is used for eliminating residual chlorine and impurities from tap water, in order to make clean water. 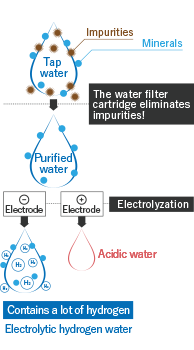 An electrolytic hydrogen water generator is used for electrolyzing the purified water from which impurities and chlorinous odors are removed to make electrolytic hydrogen water and acidic water. Therefore, the functionality and characteristics of the generated water are completely different. The electrolytic hydrogen water generator can easily generate, at home, not only purified water that tastes better than tap water but also electrolytic hydrogen water that is good for health at home. The apparatus purifies the tap water, and then electrolyzes the water. 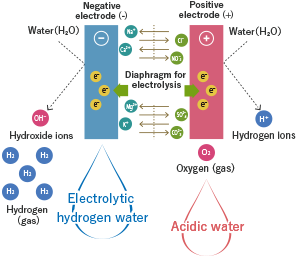 By that, electrolytic hydrogen water is generated at the negative electrode with acidic water at the positive electrode. Note: This site uses the terms “electrolytic hydrogen water” and “acidic water” for the names of generated water. 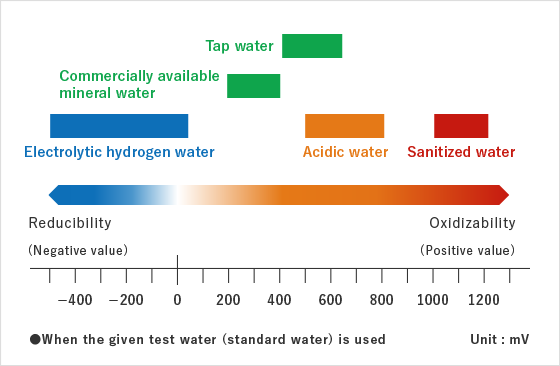 These correspond to the terms “alkaline electrolytic water” and “acidic electrolytic water” used in JIS T 2004 (water electrolyzer for home use). Generate purified water, acidic water in addition to electrolytic hydrogen water. 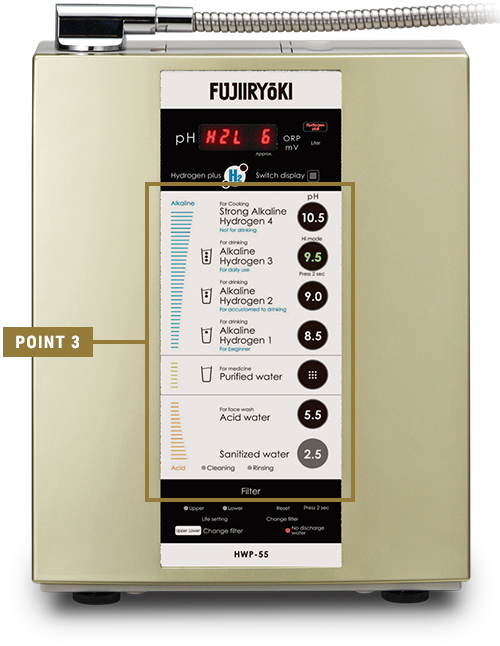 Fujiiryoki’s electrolytic hydrogen water generator HWP-55 can generate purified water, acidic water, and sanitized water in addition to electrolytic hydrogen water. Various types of water can be used depending on the purpose. 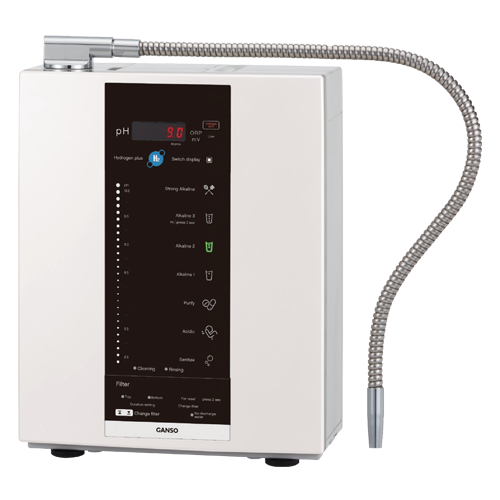 Electrolytic hydrogen water improves gastrointestinal symptoms. This is suitable for preparing milk for babies and for taking medicine. Acidic water is recommended for washing your face. Sanitized water can be used for cleaning kitchens and bathrooms. 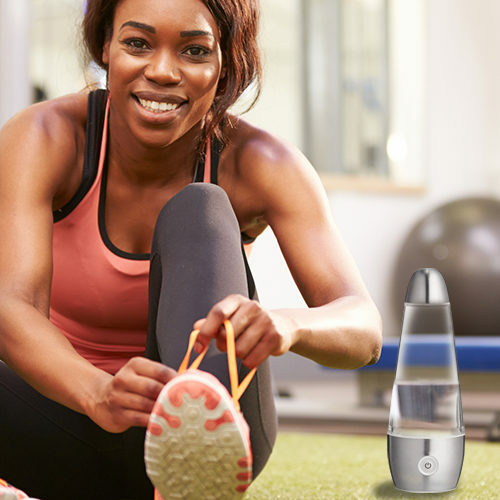 Adding flavor to life and making it healthier with 10 types of selectable water. Good water can for instance make the food taste better, as it also is good for skin care. 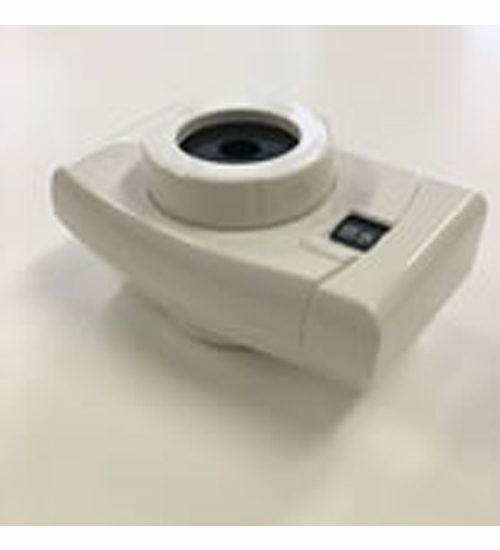 With easy button-based operation, users can choose one from 10 types of water that can improve daily life. 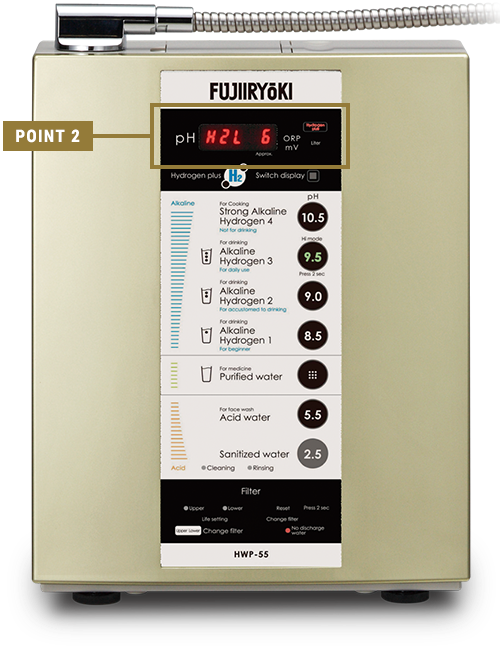 For water quality in which the pH does not easily increase, users can press the “H2” button to change the pH to one suitable for the intended purpose. The amount of dissolved hydrogen increases up to 20%. For cooking, making tea, etc. ; this water can improve taste. For hydration after sports, etc., and to be used when one’s body has become more used to drinking electrolytic hydrogen water. For washing rice and cooking rice; for fluffy rice. For after waking up each morning and before sleeping. Start from this level if you are just starting to drink electrolytic hydrogen water. Recommendable for taking medicine and for making milk for babies. The water can also be used for washing the face, as it tightens the skin. 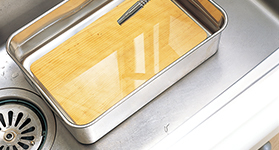 The water can be used for cleaning and sterilizing tableware, and for cleaning kitchens and bathrooms. Note: Table salt needs to be added.